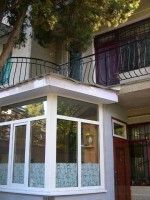 Number of floors: 3; Number of units: 4; Quiet Neighbourhood; Nice View; Terrace; Ironing & Laundry Facilities; Car Parking Lot; Common Guest Area; Available nearby: Beach; Shopping; Leisure Area; Sailing; ATM/banking; Internet cafe; Restaurants and Bars, Grocery; Gift shops; Local & area transportation; Tours & Excursions. 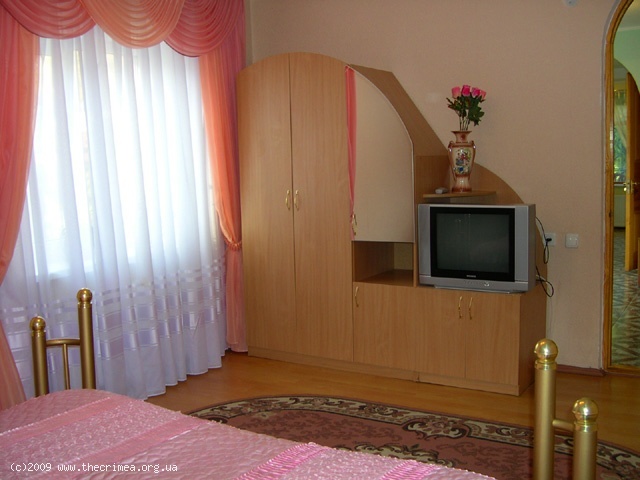 Bedrooms; Fully Equipped Kitchen with Fridge, Stove, Microwave, Dishes, Crockery & Utensils; Washer; En-suite bathrooms; Quality furniture; Queen & sofa beds; Air-conditioning; Heating; Cable TV; Carpets; Drapes/Curtains; Linen and Towels; Complimentary Toiletries. 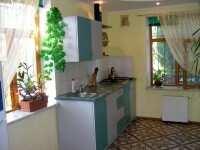 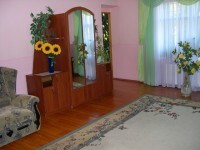 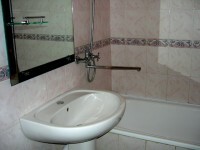 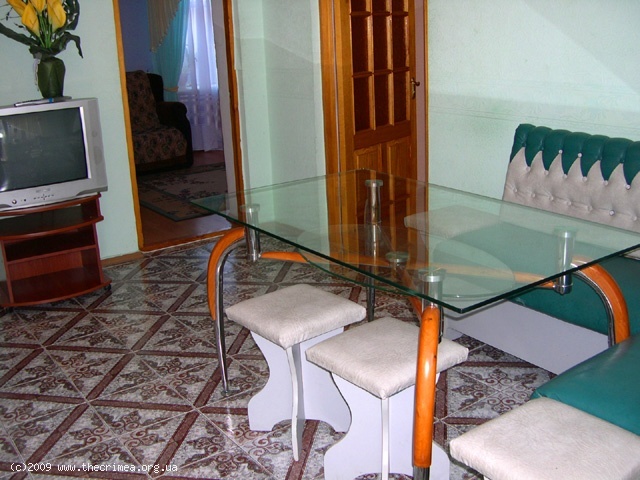 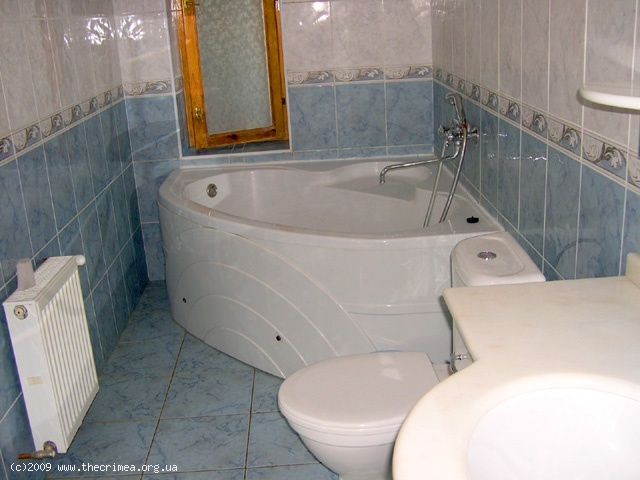 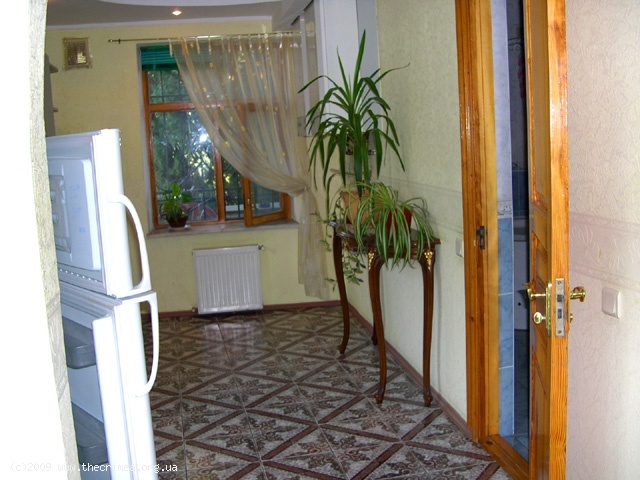 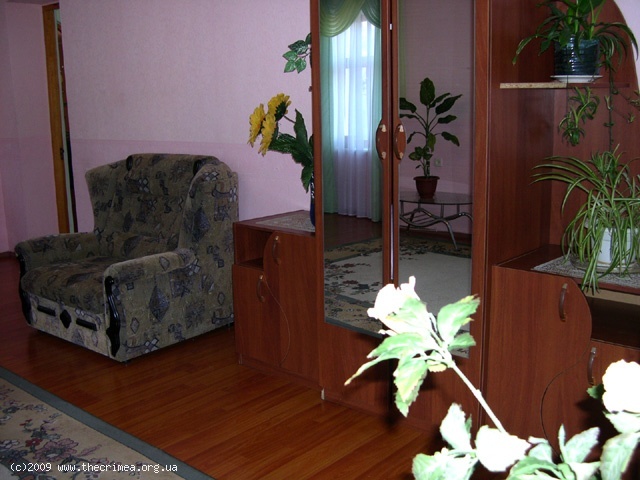 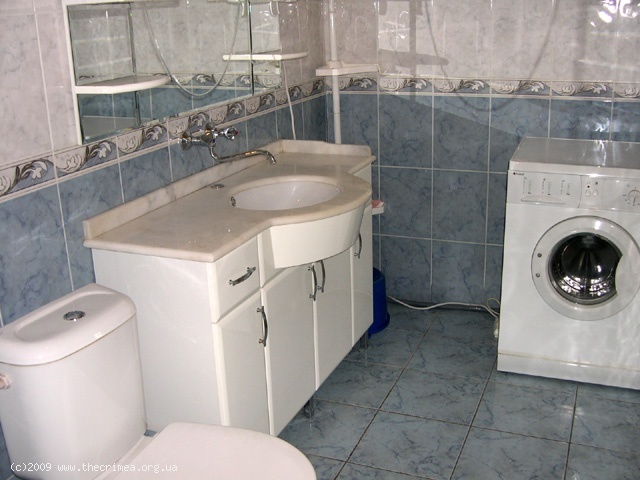 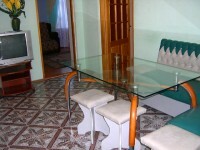 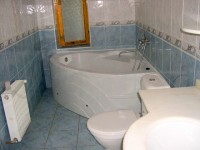 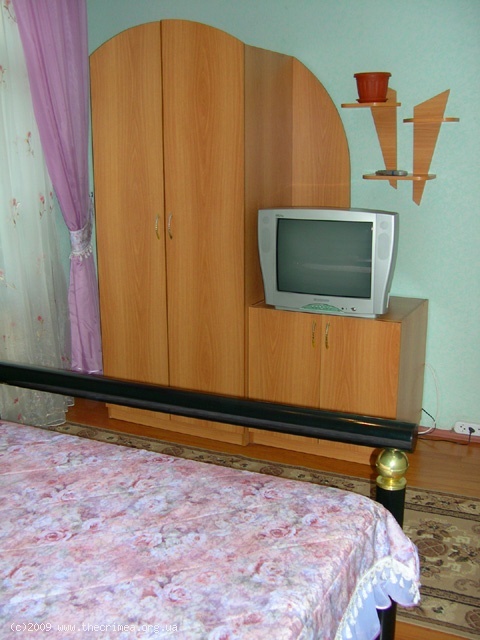 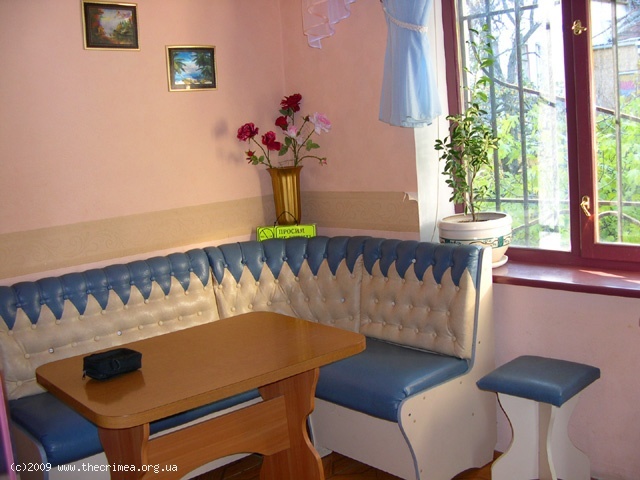 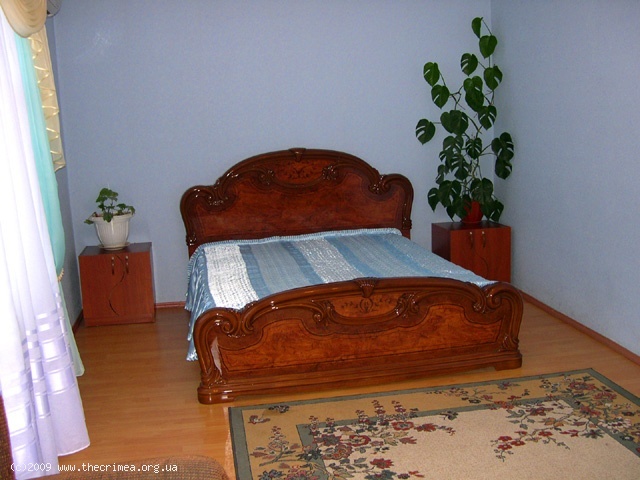 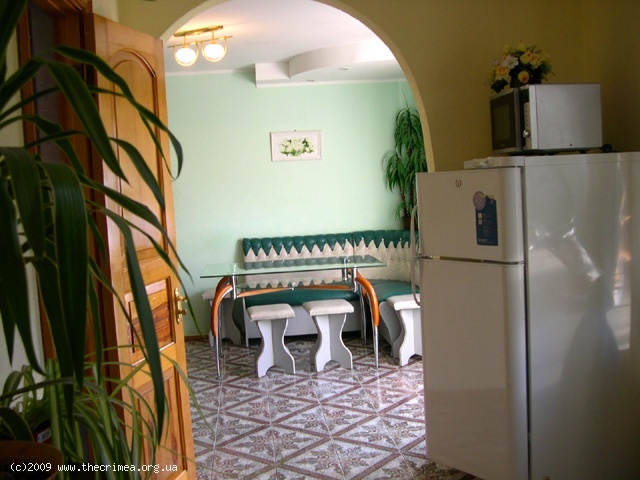 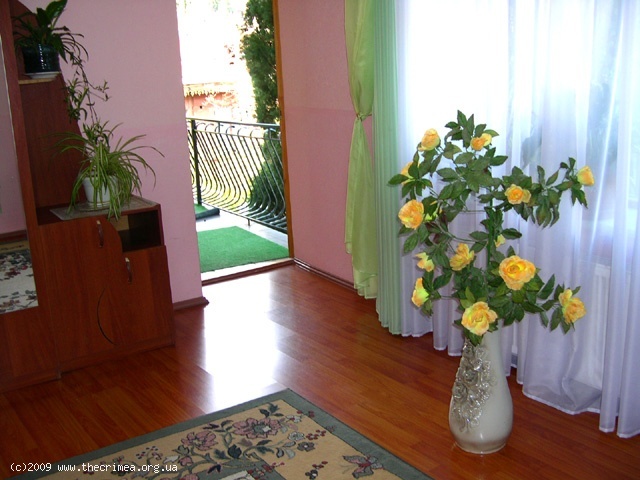 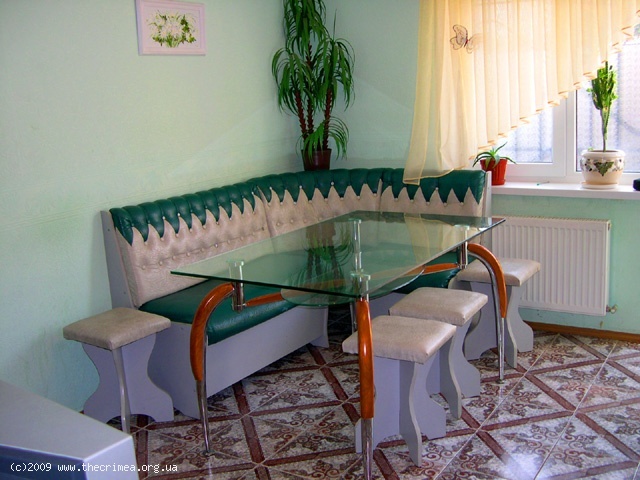 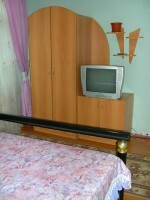 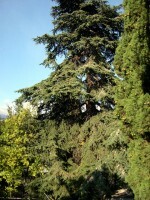 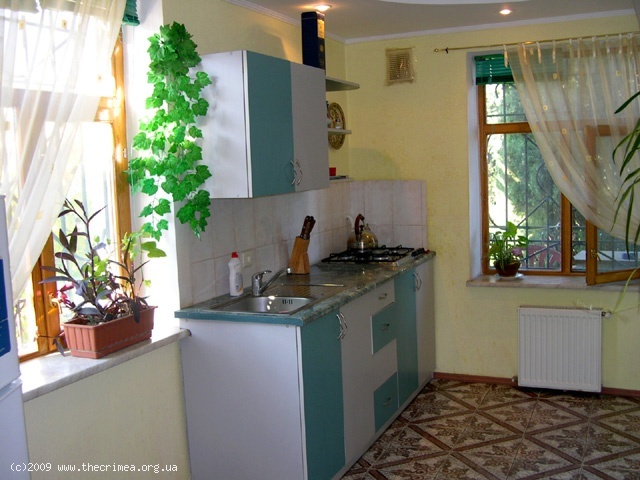 Come and enjoy your vacation at our guesthouse in Yalta! 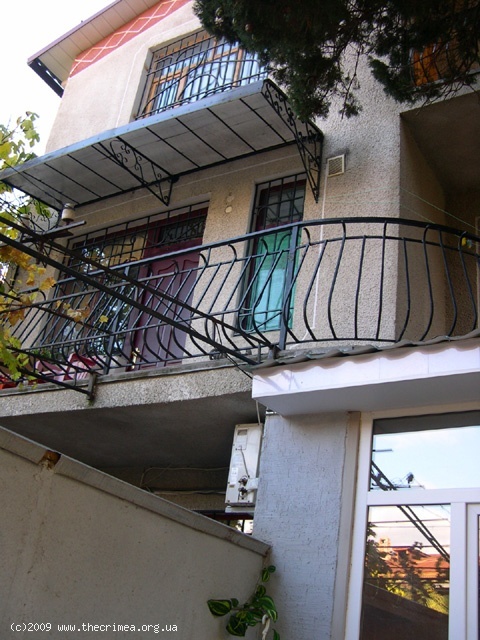 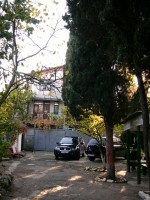 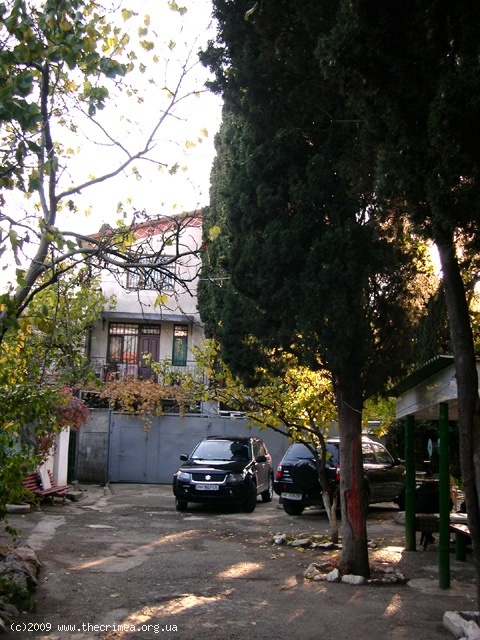 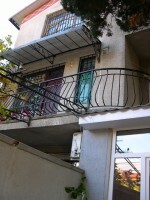 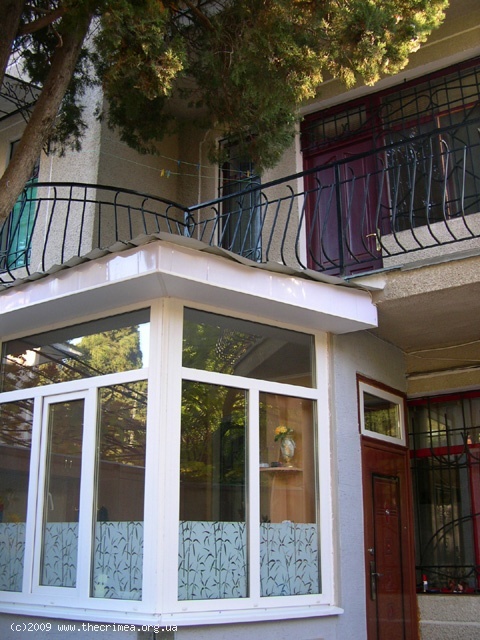 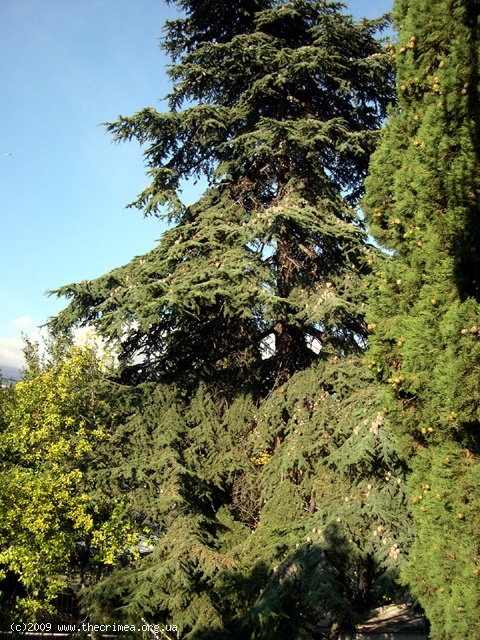 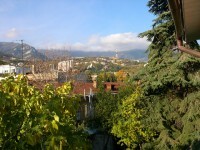 We are located in the very center of Yalta, next to "Oreanda" Hotel, yet in a safe and quiet neighborhood. 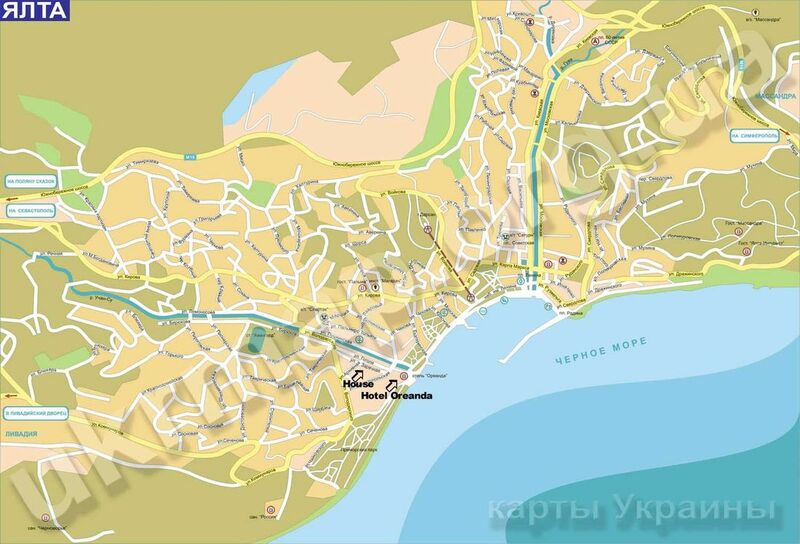 It will take you up to 5-10 minutes to walk to the beaches, leisure area, shopping centers, cafes and restaurants, entertainment, night clubs & discos, places of historical interest. In spite of the central location, it still remains very peaceful as the windows overlook a quiet courtyard as well as offer beautiful views of the characteristic Yalta neighborhood and distant mountains of the Southern Coast of Crimea. 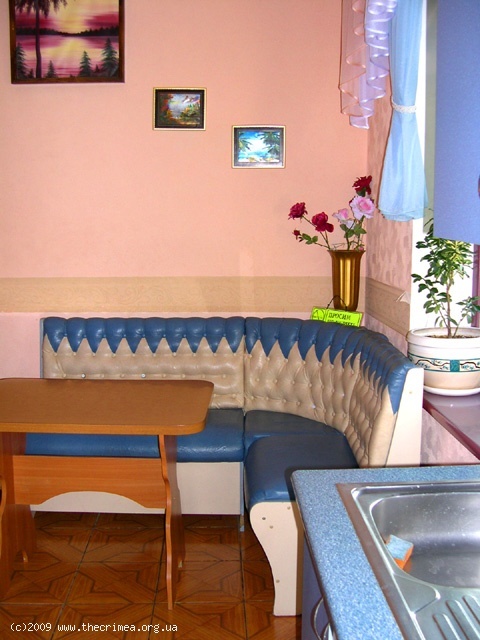 The guesthouse offers various types of units: two- and three-room apartments with en-suite bathroom, full kitchen with dinning area, terrace. Amenities also include: air-conditioning, cable TV, heating, laundry facilities etc. The apartments have been recently fitted to a high standard and tastefully furnished with quality beds, sofas, tables etc. 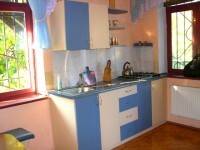 The full kitchen is equipped with everything you need for a self catering holiday. 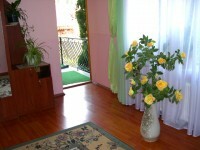 The rates depend on the kind of apartment you would like to rent and season. The two-room apartment: from $60 in off season to $110 in July-August. 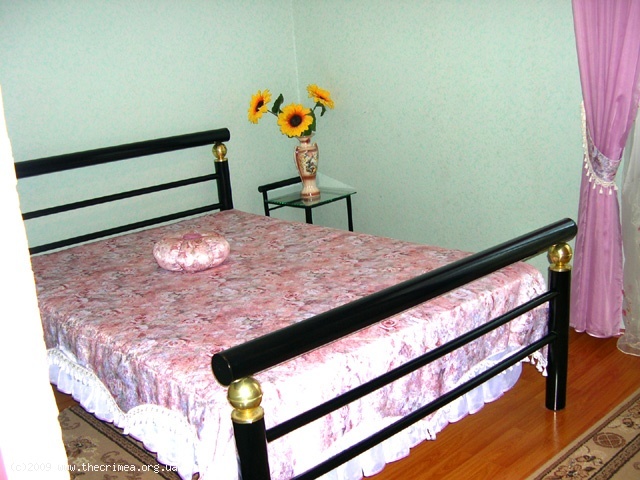 The three-room apartment costs on average 50% more. 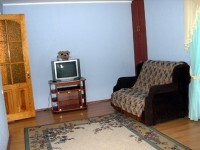 Should you need any further information or help regarding your stay in Yalta, we will be happy to support you!